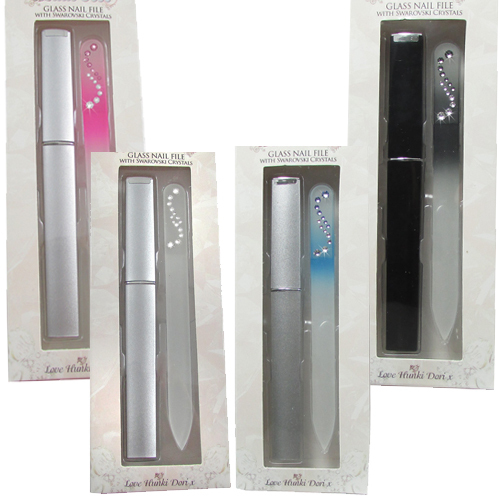 Medium Sized (approx 14cm) Glass Nail file with hard case and Swarovski Crystal Elements Decoration. Glass Nail files are the best way to care for your nails. The rounded tip means you are allowed to carry this on aircraft in your hand luggage. Glass Nail Files can be cleaned by simply running them under the tap and drying thoroughly.